Vice President Joe Biden, in comments to kick off Infrastructure Week, said investing in our nation’s highways and bridges is a “national security issue.” He urged Congress to more quickly approve spending for new projects, noting there was “no reasonable argument against the need” for investment in infrastructure. “America is getting further and further behind and business will not grow,” he said. Biden was joined at a May 11 event in Washington, D.C. by U.S. Transportation Secretary Anthony Foxx, former Pennsylvania Gov. Ed Rendell and a panel of transportation industry experts, including HNTB Holdings President Paul Yarossi, ARTBA’s 2012 chairman. 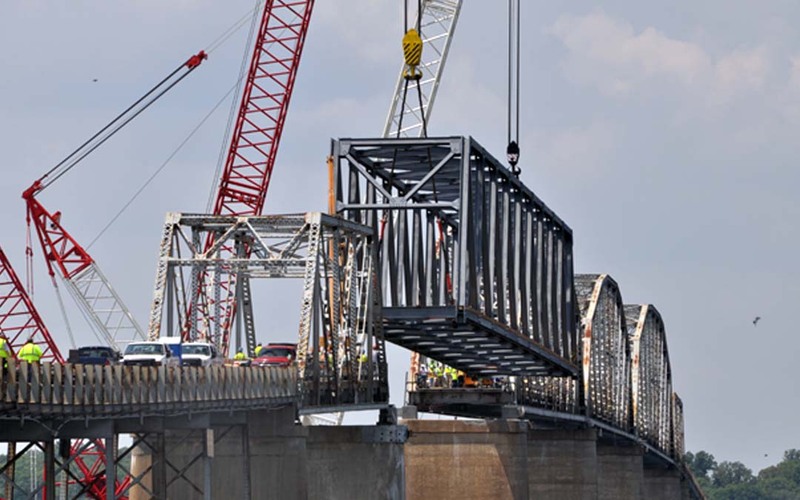 Infrastructure Week, which brings together thousands of business, labor and public policy stakeholders to highlight the importance of modernizing America’s infrastructure systems, takes place just two weeks ahead of the May 31 deadline for Congress to pass legislation to keep federal transportation money flowing to states. As the clock ticks down to the deadline, Foxx invoked Cleveland basketball superstar LeBron James, whose buzzer-beating basket on Sunday led his team to victory over Chicago. “We have a clock that is running out. We’ve got 20 days left. I wish we had the equivalent of LeBron James when it comes to taking the kind of courageous stands that need to be done to move this country’s infrastructure forward. But alas, he plays basketball. He’s not in Congress,” Foxx said. Both Foxx and Biden pushed the Obama Administration’s Grow America Act, a $478 billion, six-year transportation reauthorization proposal that provides increased highway and transit funding. Read an ARTBA summary of the plan. Rendell, noting agreement from the U.S. Chamber of Commerce and the AFL-CIO on the need for transportation funding added, “This is a group that can’t agree that it’s Monday in agreement on a gas tax increase. We all know this needs to get done. Do it,” he said, urging members of Congress to agree to a long-term funding solution ahead of the deadline. Other participants in the event, sponsored by Bloomberg Government, included Eric Spiegel, president of Siemens USA, Tamara Lundgren, chairwoman of the U.S. Chamber of Commerce and Richard Trumka, president of the American Federation of Labor and Congress of Industrial Organizations (AFL-CIO).